Tanzanian farmers at a fodder establishment training examining forage grasses (photo credit: IITA/Gloriana Ndibalema). 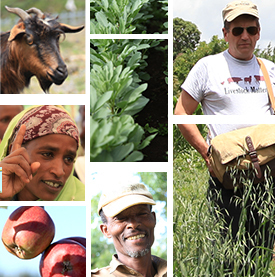 Livestock are an important component of the farming system in Tanzania’s Babati District. However, recent increases in demand for food within the farming community in the region have led to permanent cultivation of more land to expand crop production. This has led to significant reduction of pastures for livestock, consequently leaving them vulnerable to starvation during dry seasons. To address this challenge, Africa RISING project partners have been implementing activities in Babati to train farmers on how to effectively introduce appropriate fodder crops into their food crop oriented farming system which is predominantly maize-based. As part of activities within this initiative, the International Livestock Research Institute (ILRI) in collaboration with the Tanzania Livestock Research Institute (TALIRI) organized a training workshop on fodder establishment for farmers and extension agents in the district. A total of 31 farmers and nine extension officers were beneficiaries of the training which was held on 18 November 2014. Topics discussed at the workshop included strategies for improving pastures and forages in sustainable ways to maximize yields, techniques for improved harvesting and storage of fodder and preparation of seeds and planting of fodder trees, fodder legumes, improved forages and improved pasture. The trainers used a trainer-trainee participatory presentation approach which stimulated experience sharing and discussion of topics by the extension officers, farmers and the scientists taking part in the workshop. Edward Masesela, one of the farmers taking part in the training noted that he benefitted from the discussions during the workshop. He said sessions on planting of fodder trees, fodder legumes and improved forages were very relevant and practical for his day-to-day work in the farm. ‘Thanks to this training I now have fresh ideas for better farming practices so that my livestock can get good pastures. I will also organize a meeting when I get back home to share what I have learnt with other farmers so we can improve forages for our animals,’ he said. Farmers taking part in the training were drawn from six Africa RISING intervention villages in Babati District including Seloto, Sabilo, Long, Shauri Moyo, Hallu and Matufa. 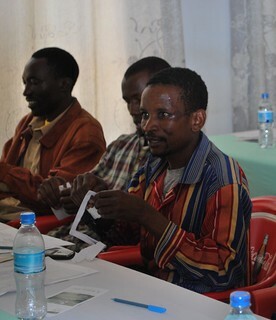 Similar trainings are expected to continue in other parts of Bahati District. 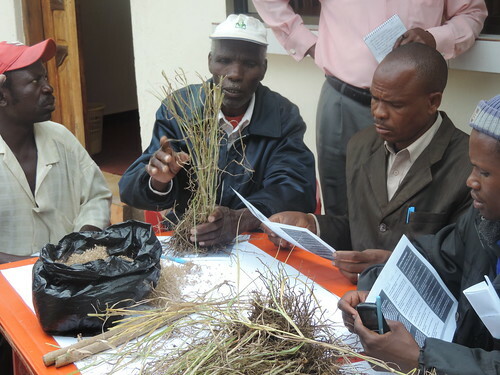 The training is linked to the ongoing research to test high yielding forage grasses and legumes on selected farms as well as bulk planting materials through demonstration plots to enhance adoption of the new species. Tags: africa rising, ILRI, livestock, TALIRI, Tanzania. Bookmark the permalink.